Selection and training of cleaning staff. Nearby maintenance and cleaning teams. If for some reasons you are not satisfied with the service of our franchisees, we ask you to contact us within 24 hours following the visit. We will redo the cleaning of your house free of charge, and if you are still unsatisfied, you will be refunded. We will never doubt the reality of your dissatisfaction; however we will just ask you about the reason, so we can improve the quality of our service in order to attain your full satisfaction. We process your estimate request, claims or any other inquiry concerning our business within 24 hours max. In a simple visit, our franchisees will examine your needs and answer your questions in order to meet your expectations. They will also explain our standard work plan detailed on the back of the estimate form. They will take note of your suggestions on the same form to improve the expected service. NRJ-Maid has established a work plan that covers all the standard tasks of a regular service, heavy-duty cleaning tasks, thorough residential housekeeping or commercial cleaning. This does not preclude that we are open to adapt our services to your needs. Only 10% of the franchise applicants are accepted after several interviews, theoretical and practical tests, and positive reference checks. All our franchisees undergo individual training in the fields of residential cleaning, hygiene, safety in the workplace, first aid techniques and attitudes towards animals. Our franchisees are sorted after a rigorous selection process and a systematic checking of legal background. You have no obligation towards our franchisees. The service agreement is a simple agreement you can cancel at any time. We provide our services housekeeping in the Greater Montreal area. This includes the north and south shores; each sector has one franchisee and once you are satisfied, you can recommend him to your neighbors. We carry out regular follow-up surveys about client satisfaction and we always listen to your suggestions to improve our services. NRJ-Maid has a call center available from 8 am to 10 pm, Monday to Friday, and from 9 am to 5 pm on Saturdays. All cleaning products used by NRJ-Maid franchisees are ecological. Respecting the environment is at the top of our priorities. The cleaning cloths we use are of different colors so that the cloths used to clean the bathrooms won’t be mixed with those used to clean the kitchen or the rest of the house. Our vacuum cleaners are equipped with HEPA filtration system that captures the maximum quantity possible of mold and micro particles that are harmful to your health. Lack of time and energy? 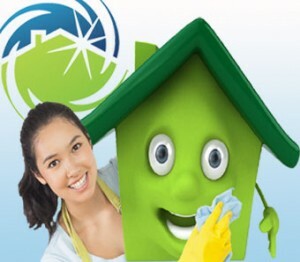 The cleanliness of your home close to your heart?